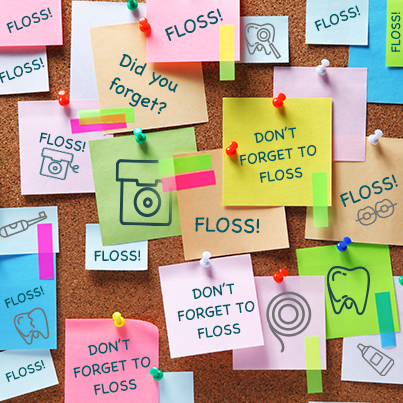 We know that flossing can be a task that’s easy to forget, but by flossing daily, you can actually help to prevent gum disease, tooth decay and bad breath! Brushing your teeth can’t remove plaque from your teeth and gums the way that floss can, which is why we encourage our patients to make flossing a daily ritual. Floss comes in all kinds of flavors and sizes, and you can do it just about anywhere. Whether it’s, at your desk, or in the comfort of your own home, you can take your floss with you wherever you go!